Copay is a HD multi-signature mobile Bitcoin wallet that supports shared wallets, full payment protocol, and test net. This type of mobile wallet supports users who are into the multi-signature technology. Instead of having a single user, this wallet allows multiple users. The group must all approve before a transaction takes place. To make sure that users do not get confused of their accounts, all business and personal transactions are separated. The wallets are hierarchical-deterministic that protects and backs up your account. This wallet is the first Bitcoin wallet to use a Bitcoin payment protocol that assures you that the fund you sent will arrive to the rightful owner. It is also the first wallet to approve the Bitcoin test net that lets users test new Bitcoin applications. That is why after you convert your cash to any satoshi exchange, you can now download this mobile app to start using your coins. This mobile wallet assures you have the full control over your cryptocurrencies. No one, not even the app, can freeze or lose your coins. This is why it is crucial to back up your files and secure your account. In order to do this properly, you should always protect your computer from malware, use a strong set of paraphrase, and use different password authentication. Good thing, this wallet uses TOR to avoid hackers and other servers from intruding your transactions. On the other hand, Copay depends on a centralized service, meaning there is a third party. But, the developers made sure that your account is in a remote location. If this was the case, as a user, it is relevant that you trust the company enough to let them store your coins. BitPay was the one who developed Copay and Bitpay wallets. BitPay continues to improve that is why the company decided to merge the two wallets. Both apps are now design and feature compatible. Users can now use an Amazon gift card and Bitcoin exchange integrations. The design integration lets the app introduce Bitcoin properly and secure its coins. You also have the urgent fee policy that allows you to instruct the wallet to demand for a high transaction price. 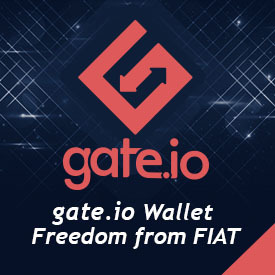 With its features and upgrades, you can say that the coins that you got from satoshi mining or any converted coins will be safe with this wallet. It just takes a user like you to believe in its capabilities.